One-hundred fifty years ago, on November 19, 1863, at a ceremony to honor the fallen in the Battle of Gettysburg, President Abraham Lincoln gave his famous Gettysburg Address, bequeathing to us some of the central words of the American Creed, words that we as Americans live by. To understand the Address, it is important to understand its context. The speech came two and one-half years into the bloodiest war in American history and about five months after the actual Battle of Gettysburg, fought July 1-3. The day after the battle Major General Ulysses S. Grant succeeded in his siege of the Confederate city of Vicksburg on the Mississippi River, giving Union forces for the first time complete control of that strategic waterway and splitting the Confederate States of America. These two key Union victories, coming after two years of meager wins and many defeats, proved to be a turning point in the war. The war would continue for another two years with more Union defeats, such as at Chickamauga, fought just two months later, in which Union forces sustained the second largest toll of casualties of the war after Gettysburg. Nonetheless, the South would never again invade the North, and its earlier dominance in tactics and military leadership had vanished. This Proclamation codified the changed nature of the Union war aims. For the first year of the war, its main goal was to patch the breach in our country—to return back to the Union the eleven states which had seceded from it. The Proclamation lifted the war to a higher plane. The Union now fought also to eliminate slavery in the South and hence the Southern way of life based upon it. In the late morning of November 19, 1863, about 15,000 people gather outside the unremarkable town of Gettysburg in Pennsylvania, on a patch of land designated as the cemetery after the battle, to pay tribute to the fallen. Only about one-third of the bodies have actually been given permanent graves. President Lincoln is not the main speaker; Mr. Edward Everett, a famous speaker of the time, gives the “Oration.” This lasts about two hours, not uncommonly long for the time. Then President Lincoln with a sheet or two in his hands rises to give “a few appropriate remarks.” He is interrupted by applause five times as he reads the 272 words, lasting about three minutes. It is a challenge to project his high-pitched voice to such a large crowd; however, he has had practice in this. After honoring “the brave men, living and dead, who struggled here,” Lincoln summons us to the “great task remaining before us,” which evidently has two parts. The first is that with this address, Lincoln moves America forward another giant step in our march of freedom, one that began in 1776 with our break from Great Britain and that continues today. His speech connects the Civil War, the Battle of Gettysburg, and the fallen with “a new birth of freedom” for our country. The old circumscribed definition of freedom, not applicable to blacks, is now obsolete. Before the war, our country faced the grim contradiction between our founding ideal of freedom and the existence of slavery in our country. That contradiction has now dissolved. The Proclamation and the Address anticipate the final necessary act, the Thirteenth Amendment, adopted in 1865, abolishing slavery entirely in our country. The second part of the “great task” is to continue to strive in this exercise of self-government; there is no guarantee that it shall abide. 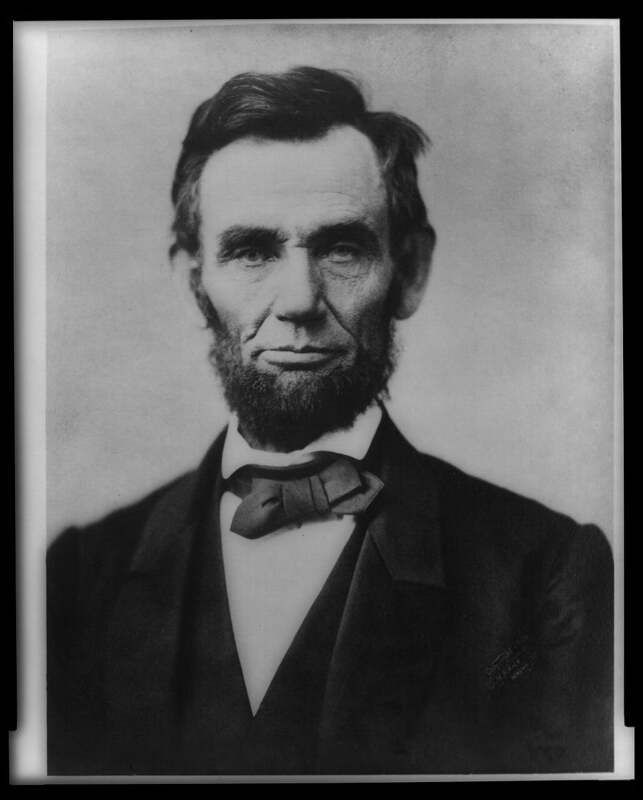 He finishes with “so that government of the people, by the people, for the people shall not perish from the earth.” Lincoln believes in democracy, wants to see it endure, and calls us to continue to actuate it and protect it. The Gettysburg Address is probably the greatest speech in American history, greater than Washington’s Farewell Address, Franklin Delano Roosevelt’s famous speeches of the Depression, and even Martin Luther King’s “I Have a Dream” Speech. It is the speech that so many Americans have had to memorize in elementary and junior high school, including the author. This entry was posted in Uncategorized and tagged Abraham Lincoln, American Civil War, Civil War, Fred Zilian, Gettysburg, Gettysburg Address, Lincoln, Zilian. Bookmark the permalink. Thanks Fred, this was excellent to read. And I learned quite a few things. Hey great post! I hope it’s alright that I shared it on my Facebook, if not, no problem just let me know and I’ll delete it.